Secretary Deb Markowitz, left in red, at a Green Up Day press conference in April with Lt. Gov. Phil Scott. One of the state's most prominent politicians says she won't run for governor in 2016. After Gov. 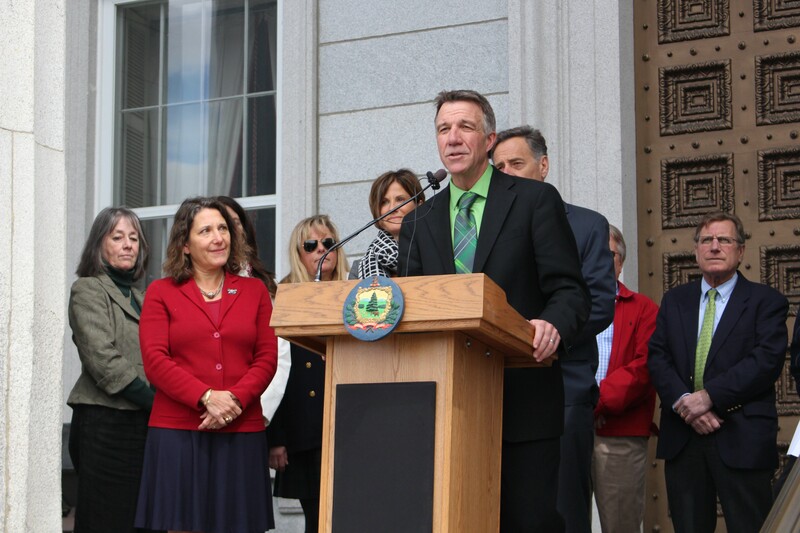 Peter Shumlin announced Monday that he won't seek a fourth term, Natural Resources Secretary Deb Markowitz was one of many top pols who indicated she would consider running for governor. But the Montpelier Democrat ruled out a run in an email Thursday morning. "I will not be running for governor this time around," she said. A former secretary of state, Markowitz has run the Agency of Natural Resources since January 2011. She said she hopes to stay put. Markowitz has more experience running for statewide office than most of those pondering a gubernatorial bid. She won six races for secretary of state and came in a close third place in the hotly contested, 2010 Democratic gubernatorial primary election. After losing to Shumlin, Markowitz, second-place finisher Doug Racine and fifth-place finisher Susan Bartlett all went to work for the new governor. Racine and fourth-place finisher Matt Dunne are both considering another bid. “Having run for governor before and watching firsthand what it really took for the current governor to run and actually be governor, I decided that I really would prefer to focus on where I am now and not jump into this race,” Markowitz said. Though more than a dozen politicians have said they are considering a run, Markowitz was one of the only women among them. Transportation Secretary Sue Minter has also said she is considering her options, though others have speculated she has her eye on the lieutenant governor's office. Markowitz said she hopes more women decide to run for the state’s top job. Markowitz declined to speculate on what she will do when her boss leaves office in January 2017.